Tristan “Cake” Cote-Lalumiere, being interviewed by Riot in the Tainted Minds team house. Team houses have been upheld as the ideal model for professional gamers and professional teams to maintain the optimal practice environment. But over the last 24 hours, a raft of allegations have come out about the living conditions for Tainted Minds, one of Australia’s top eight League of Legends teams. Tainted Minds (TM) has been enveloped in drama since the year began. The team is currently sixth in the Oceanic Pro League, two spots from the bottom, although the recent bans against four starting players for Chiefs Esports Club gave TM’s playoff hopes a little more life. But their standing in Australian League of Legends has been shaky for a little while. Back in February, the majority of the roster, including their coach Nicholas “Inero” Smith, left the team house and declared that they were free agents. The reason? The players were fed up with living in a house that, according to Inero at the time, had no air conditioning, was infected by mould, had sanitation issues, and was generally unpleasant. The players didn’t have internet for a period, forcing them to play out of an internet cafe for a fortnight, and every time someone did the laundry the power would turn off. Those were the allegations put forward last month. Earlier this week, former team member Tristan “Cake” Côté-Lalumière added more detail to the story, starting from when he first moved into the team house in December. According to Cake, the house had no computers, poor internet that was incapable of streaming matches, was dirty, had a broken shower and no laundry. That’s despite the fact that they were supposedly told things would be ready before moving in. The laundry situation was apparently rectified after two months, with player manager “Fassfy” (who prefers to remain unnamed) initially doing the laundry for the team. That situation came to a halt after she stopped getting paid. Aaron “ChuChuZ” Bland confirmed in a Twitlonger of his own that Fasffy’s contract was “terminated” by Tainted Minds in February, with the team finding out not long after they had a private mediation meeting with Riot to sort out their living conditions, as well as some contractual questions. One of the persistent issues with the house, as corroborated by multiple team members, was the quality of the internet. Poor internet is a good enough reason to hate a place in 2017, but if you’re a group of gamers trying to make your way in the professional League of Legends circuit it’s a non-negotiable requirement. “Around the third week of January we started having incredibly bad packet loss, it was pretty much impossible to scrim or even play solo queue properly,” Cake wrote. ChuChuZ added that the players were experiencing consistent packet loss in all of their matches, and they notified team management of the issue. A second phone line was installed into the building, but it was with the same provider as the first and suffered the same issues. As an interim solution, the players continued to travel to netcafes to practice in between OPL matches. We couldn’t go to internet cafes anymore, it was getting ridiculous and also our Opal cards (public transport card) were getting expensive. We lived in a gaming house only to sleep in intense heat and wake up to unplayable internet. We were just sitting in the computer room talking and trying to resolve issues, that day we had 12 power outages each taking turns going out into the 48 degree Celsius heat to restart the power. From the players’ perspective, the living conditions were tolerable because “we understood a gaming house was a new experience” in the Australian scene. But the major sources of the problem were two-fold: not only did the players feel like their concerns were not being heard by Tainted Minds, but they also felt like they were being left in the cold by Riot themselves. Cake alleged that Riot deliberately delayed mediation sessions because one of its employees, who oversees esports for Riot in Australia and New Zealand, was responsible for convincing Letsplay.live managing director John McRae to invest in Tainted Minds. No information said during the mediation sessions have been revealed - all parties are subject to NDAs - but Cake said the players asked Riot directly what would happen if they didn’t play one of their weekly matches. Another instance cited by Inero was that Tainted Minds had 14 players listed on their roster. Riot’s official rules only permit teams to have 10 rostered players. Inero and Cake both confirmed separately that Tainted Minds informed Riot of the violation, and according to them, Riot edited the database without updating the notification date. After the fourth week of matches the TM players sent a legal notice of termination after obtaining advice from Jessep Entertainment & Sports Lawyers, the latter of which was confirmed by a report from theScore Esports. 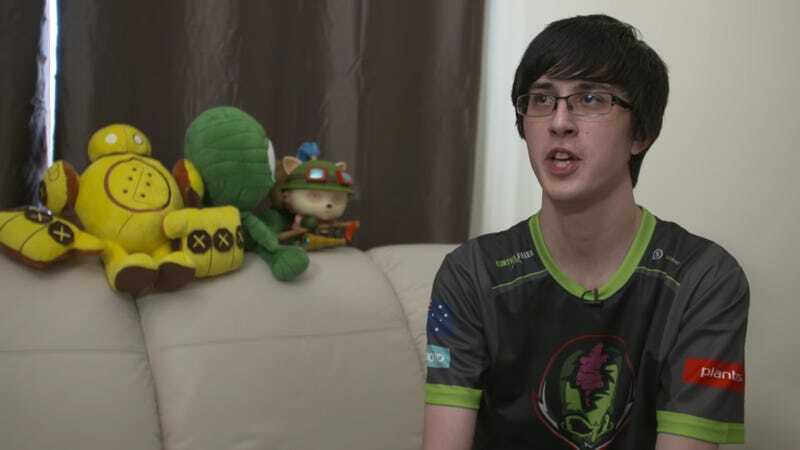 Riot filmed a brief video tour of the Tainted Minds house and posted it on January 28 Australian time, a couple of weeks before players filed to terminate their contracts. Tainted Minds responded, saying all players “listed remain contracted to Tainted Minds on the Riot Global Database”. On top of that, Riot confirmed publicly that none of the players who walked out were free agents - meaning they were no longer playing in the OPL, or receiving match payments, but also unable to join other teams or play in other Riot-affiliated competitions until the end of 2017. The Tainted Minds players on Riot’s global roster database, as of March 16. The following day we went to Riot mostly out of desperation on getting things fixed as well as their office aircon ... after much discussion our minds were set on leaving, we couldn’t deal with the issues anymore. The following day all the players (except Praedyth) and Nick decided it was within our best intentions to leave. I’m the only one who lived in Sydney and offered for all of them to stay at my house as we had entered a legal battle and it could take some time. Cake, ShorterACE and Nick all stayed with me for about 4 weeks before heading off and in that time through these difficult times it really bonded us as a team. It’s sad it ended this way. Like the other players, Tainted Minds did not see his contract as broken - but it’s understood that Legacy Esports agreed to buy out the contract, and as a result he was allowed to join them and continue playing in the OPL. The situation is less rosy for the remaining players, with Cake and Fasffy alleging that they are still owed outstanding wages. Just before 7:00 PM last night, Riot’s Daniel Ringland issued a statement (under the username CptStupendous) saying that Riot “holds the contracts with the teams” but not the players, and that Riot “spent time listening to the allegations from both sides, gathering information to enable us to support the process”. Ringland went on to write that their contract “provides guidelines around housing occupancy, not general living standards, these are set in the contracts between teams and players”. He added that “at no point were we made aware that players were not receiving the Riot stipend” until March 7, and that Tainted Minds had told them “that as of 16 March all payments to players have been made”. One of the players confirmed with me shortly after the statement’s release that they still hadn’t been paid outstanding fees for December, or their stipend from the third and fourth weeks of the OPL. Cake also refuted Riot’s statement by saying the company had been was aware of the issues since January, and then proceeding to post screenshots of emails showing that Riot had been informed of the players, manager, and head coach’s desire to leave Tainted Minds, as early as January 11. The tweets were since taken down, but screenshots of the emails were uploaded online. “The contracts for both the manager and the head coach have been breached due to negligence by the organisation. Player’s [sic] contracts are currently not fulfilled, but they are within the 30-day window provided to the organisation to amend issues,” one email reads. The public response towards Riot has been nothing short of scathing, especially considering the penalties handed out to Team Immunity and Chiefs Esports Club. Users also criticised Riot for not being more protective of player welfare. Tainted Minds, at the time of writing, was yet to issue a statement despite repeated requests for comment. Should they do so, we’ll post it here.